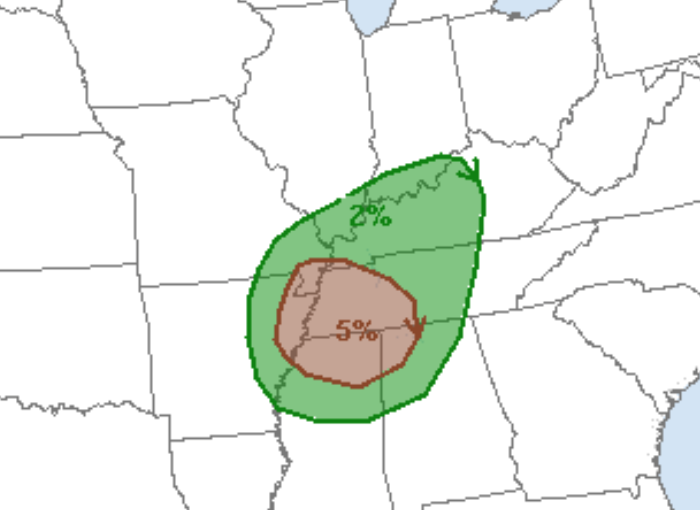 Unfortunately, we have another day with a significant tornado risk. The 5% (brown) area is the significant threshold. This includes Memphis. Please keep up on the weather in this area later today. I suspect I'm going to be posting one of these for Oklahoma and Texas tomorrow. Stay tuned.